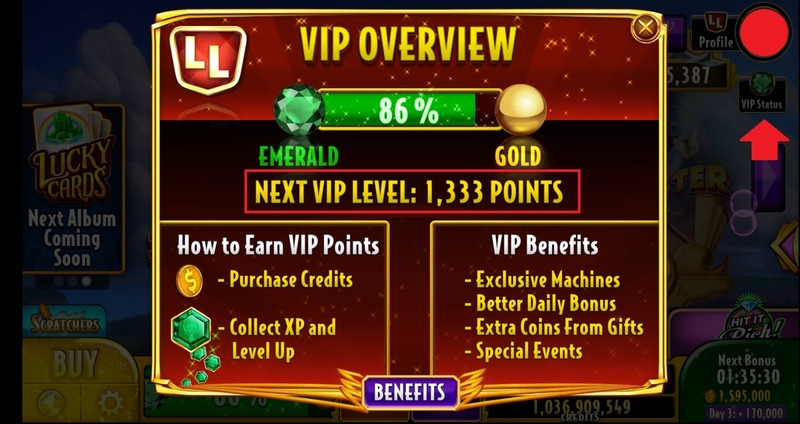 I have failed to get an answer from the big Z so I am posing my question here, If buying coins and leveling up is suppose to earn you points toward your next VIP level then how many levels do you have to level up before any credit is given toward the the next VIP level? Have leveled up nearly one hundred levels and still sitting at 68 percent. Your next VIP level will depend on the points you're currently earning, @WSmith. To check, simply click/tap on the VIP Status icon just below your profile. You may also visit this article to know more about the Loyalty Lounge feature. secondly there is no article that which you are displaying is nothing more than an information sheet there is no article attached. It explains nothing. I have as of today leveled up 110 levels on my game and the meter is still at 48 percent. bought a billion credits last friday, it is till at the same 48 percent. Hi, @WSmith. I suggest to monitor your VIP points before and after you level up. I also recommend to contact our Support team to have your account checked. There is no customer support. > I have failed to get an answer from the big Z so I am posing my question here, If buying coins and leveling up is suppose to earn you points toward your next VIP level then how many levels do you have to level up before any credit is given toward the the next VIP level? Have leveled up nearly one hundred levels and still sitting at 68 percent. You never will they are cheaters.